It is true that it can be difficult to part ways with personal and sentimental items. But when your collection goes too far, cleaning it all up is a task you’ll struggle with. Hoarding is recognized as a disorder wherein an individual is exhibiting patterns of excessive acquisition, and has problems letting go of his/her stuff. Thankfully, there are treatment programs that could help hoarders free themselves from their current state – making it possible to renew their lives. After that, the next big step is to get rid of all the unnecesary accumulated items and figuring out where to move them. When you or someone you know is ready to change their lives for the better, contact Best Cleaning & Disaster Restoration Services and let us help you take that first step. Cleaning up properties that have been used for hoarding is not that easy. People would think that this process is similar to moving or packing out, but that is not always the case. Sometimes property owners do not keep track of their stuff, and some of them could be a danger to you. Items that are sharp, emit noxious odors, or poisonous, can get into the mix. Furthermore, discarded belongings become the perfect places for vermin and critters to live in. With all the hazardous elements concentrated in one area, it is better to leave the cleaning to the professionals. 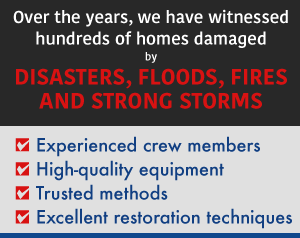 Best Cleaning & Disaster Restoration Services never approaches a job unprepared. Utilizing our professional equipment, gear, and techniques, your home will be freed from all the clutter in no time. We know how to clean the area fast. Plus, you won’t have to worry about where to put them afterwards because we’ll handle everything from start to finish. Call: 970-235-9151 and we will be on our way. Our bio hazard cleanup services are top-notch, so you know that you are receiving the best. Visit contact Best CDRS if you have any further questions or inquiries. 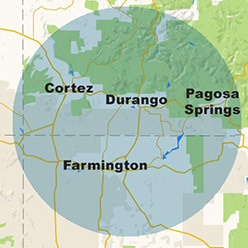 All of our services are available to properties located in the Four Corners Region (including Durango, Farmington, Cortez, and Pagosa Springs).